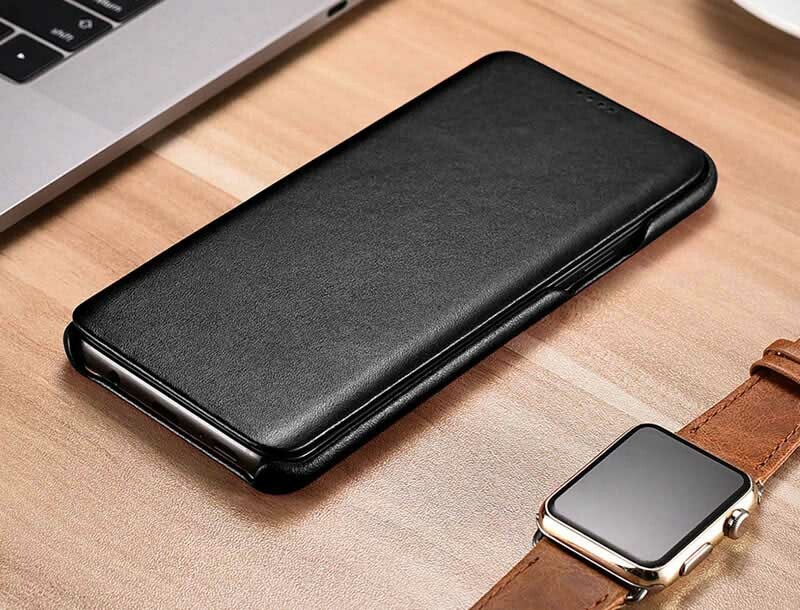 Free Shipping, Buy Original iCarer Samsung Galaxy S9 Plus Curved Edge Luxury Genuine Leather Case at Casemecase.com. 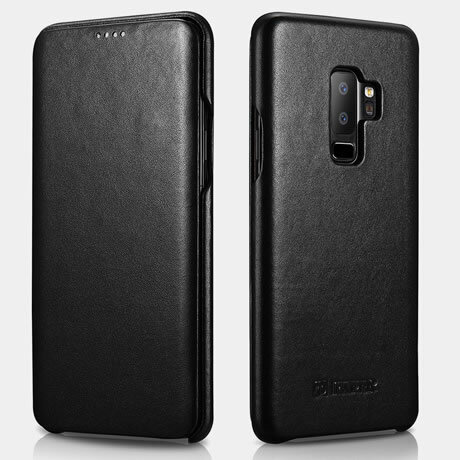 Folio Flip Side Opening Case design completely protect your Samsung S9 Plus from dirt, scratch and bumps, whether the screen or the body. Flip cover flap edge design can protect effectively phone body from outside damages. 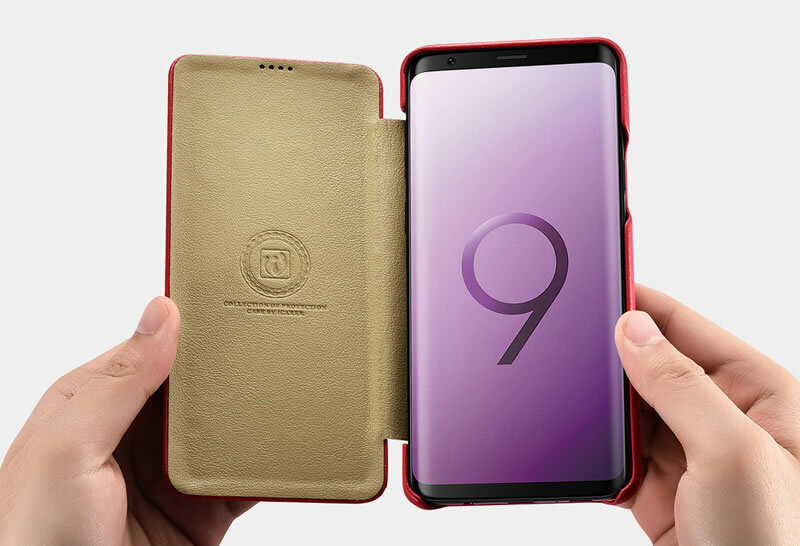 You have an easy access to all control buttons, S9+ back fingerprint reader, camera, ports and sensors without removing the case. 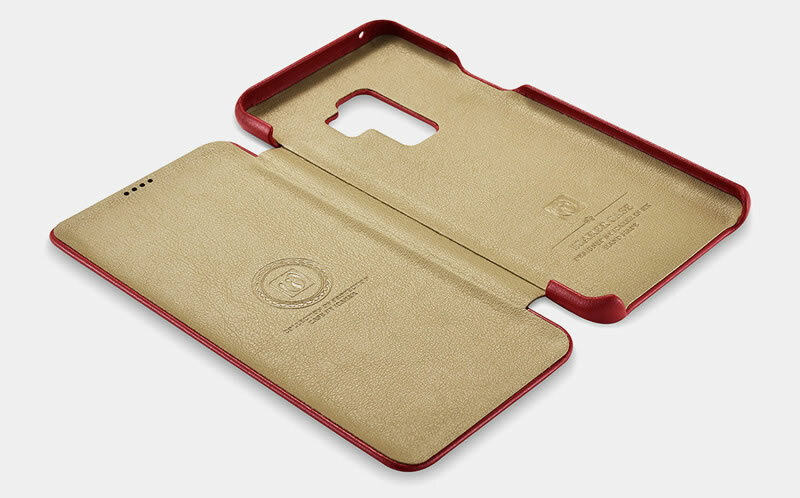 This case supports wireless charging. 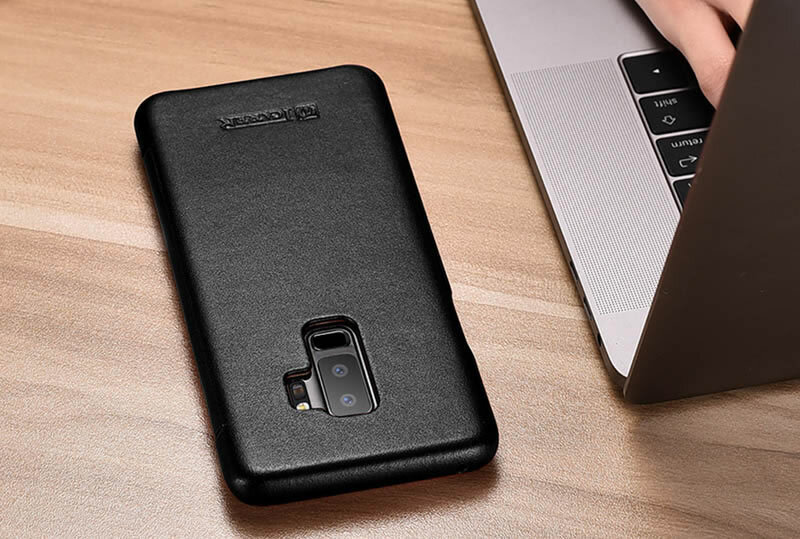 You don’t need to remove the phone case when you charged your Samsung Galaxy S9 Plus . 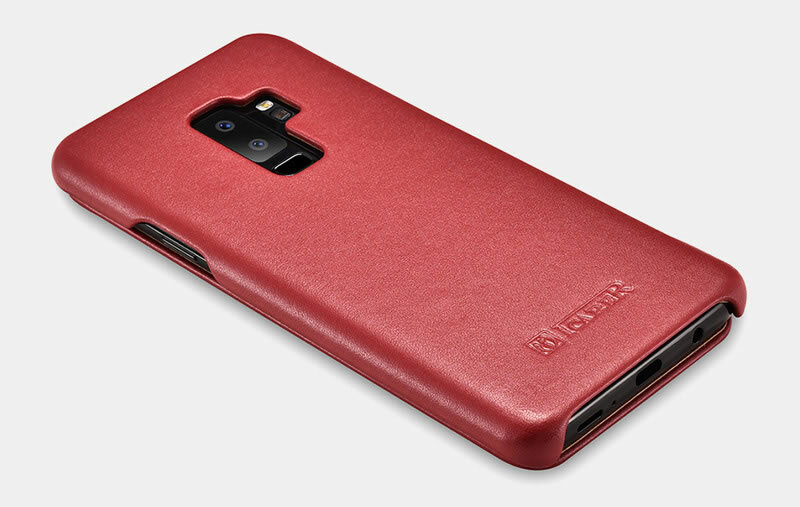 This is a great S9+ phone case. Very sleek and so far very durable. I had been looking around for a phone case like this. This phone case fits the bill perfectly! !